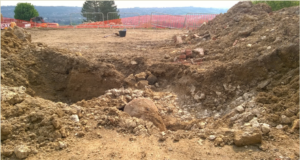 In 2016 a UK property company contracted SafeLane Global to conduct an intrusive survey ahead of piling works on a medium risk site in Bath. Against SafeLane Global’s recommendations the client did not requested a UXO watching brief whilst conducting excavations after the survey was complete. 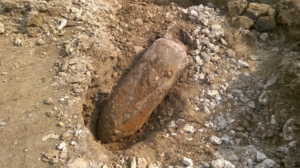 One month later, SafeLane Global received an urgent call from site requesting support as, during a reduced level dig, they had encountered a suspicious item that they believed to be unexploded ordnance. 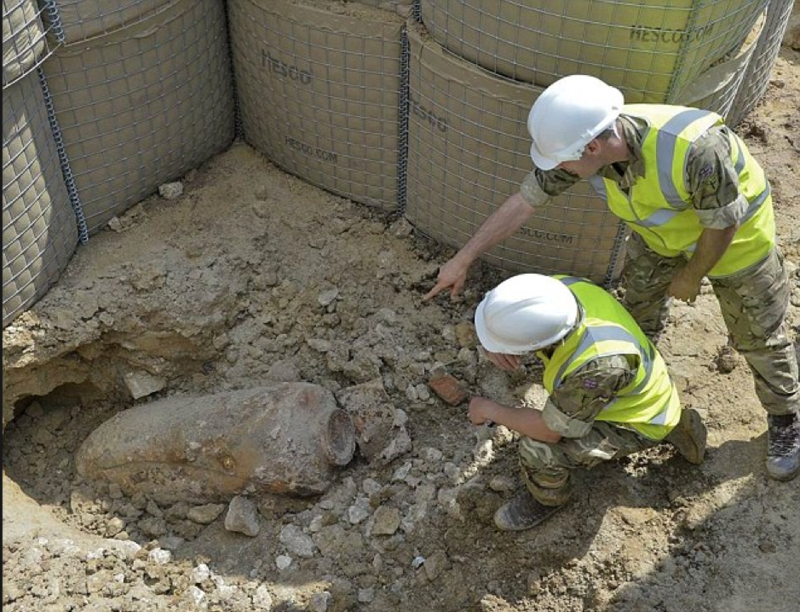 SafeLane Global immediately dispatched an explosive ordnance disposal engineer to the site who, on arrival, instigated a cordon before moving forward to examine the item.